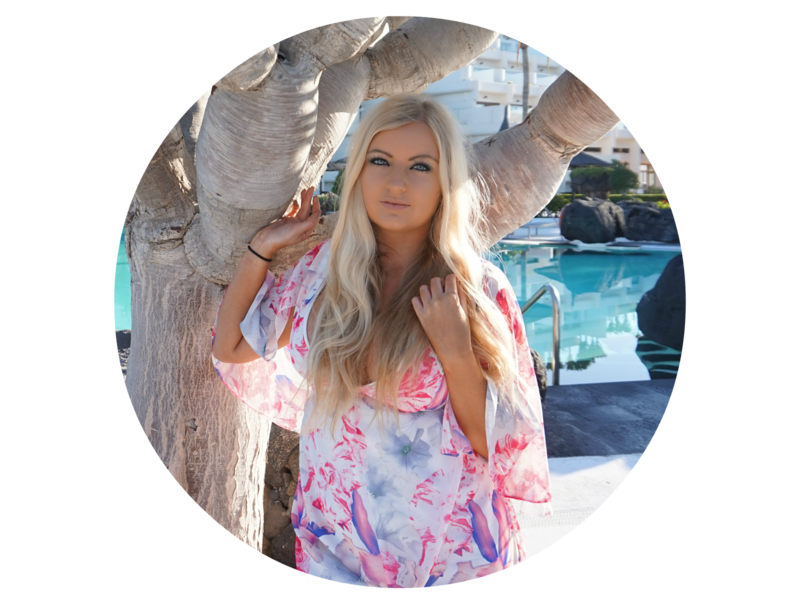 I'm so excited to be going on holiday this week I wanted to write a post to share a few holiday essentials I bought last week! Couldn't do a post to include everything I've bought so I've included the best picks! I'm not going to preach to you all about the importance of using SPF, we all know this, and I'm sure we can all admit we probably don't use enough - I'm definitely the first to put my hands up to it! However, I've been using Avon sun care since I became a rep four years ago and haven't touched anything else since! I always get complimented on my tan and I swear it's down to these products! 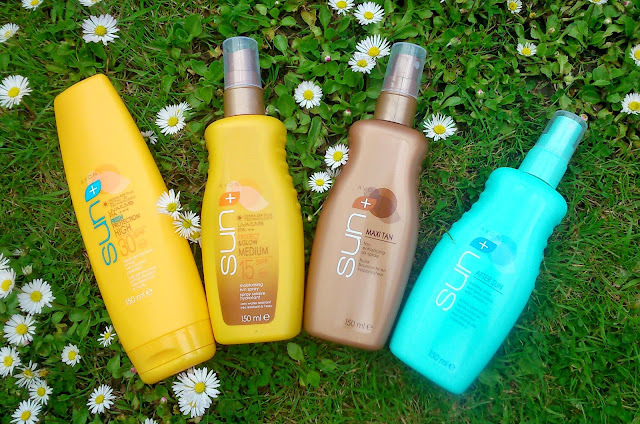 The Fresh Protection Lotion is new to the Avon sun care range so I haven't tried it yet but it does smell amazing and rubs in well - I hate lotions that are really thick and leave a white tinge! I've been using the protect and glow religiously for the last few holidays I've been on and it's great. It does dry quickly so needs to be rubbed in straight away but it protects well while moisturising your skin to avoid it drying out in the sun. I know using oil isn't recommended but I'm a self confessed tan addict! The tan enhancing oil spray doesn't have an SPF in so I usually use it along with the protect and glow SPF 15. It smells lovely, is moisturising and isn't a sticky oil which I hate! I'm lucky to have skin that tans easily but I wouldn't recommend this product to people with pale skin that burns easily! Finally, the cooling spray is a god send for those evenings when you fee like you've overdone the sun a bit! Really does what it says on the tin and is gives a perfect cooling sensation while also being moisturising - a must have for holiday! My total count of this product has just reached 9 so obviously it's at the top of my packing list too. I suffer from dry lips so I always have one of these to hand and it's perfect hand bag/clutch bag/any bag size. 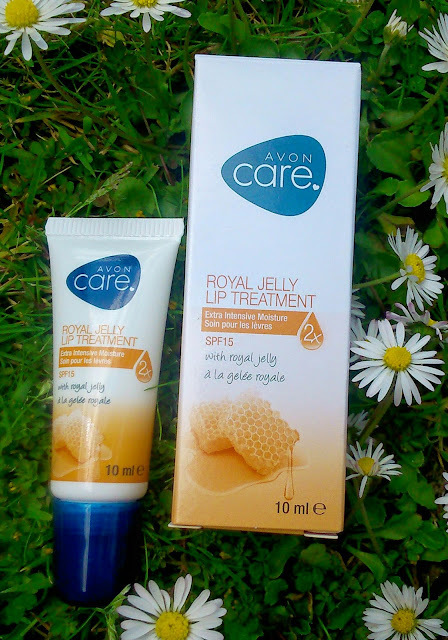 This lip treatment has an SPF of 15 and comes out like a gloss, making it great for both night and day. I highly recommend! I'm a huge lover of Avon nail varnish and just had to buy yet another shade of pink when I saw it in the brochure last week! I haven't tried it yet so I'll keep you posted on the results but it is no doubt a beautiful colour. If you've read my first post, you'd know how much I love anything and everything mint this season! They're only £4 and have loads of colours so I've stocked up and I'm sure will be featured again in my holiday OOTD's! Anyone who knows me will know I've never been a print kinda girl, until this season. I've been loving all the prints in at the moment and have tried to steer clear of my block colours to go for something a bit different. This skort playsuit does look lovely on, but it would be so much better if it had a zip as getting into it is quite difficult (or maybe there was a zip but I'm too blonde and haven't found it?!). Potentially won't actually wear it on holiday as it's quite tight and thick so possibly a bit hot but we'll see! These were a massive impulse buy because I needed a pair of white sandals for holiday and didn't have enough time to look around. Not sure why I bought them as they're wide fit and my feet are ridiculously narrow but they are comfy at least, just look a bit big! I think everyone can identify with the pre-holiday impulse buy! By far my favourite item on this week's holiday haul and well deserving of two photos to admire their beauty! I love the gold trim detail and the padded heel which my delicate blister prone feet will thank me for, I can't wait to wear these! 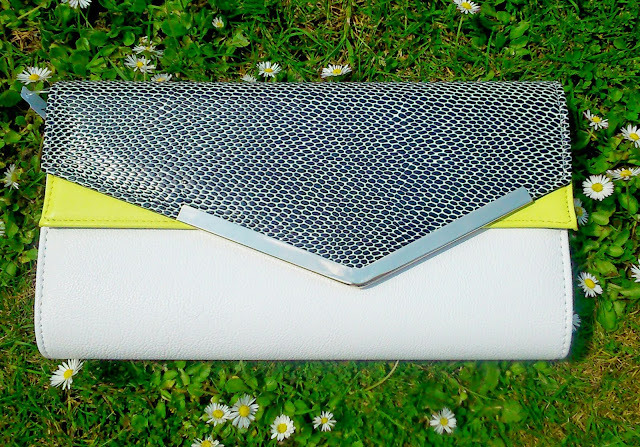 I fell in love with this multi tone clutch the second I saw it! The magnetic clasp on the flap secures the bag, it also has a strap to put over your shoulder which is great for when I don't feel like carrying it! Planning to only take this clutch with me, I know I won't want to use anything else with this beauty as an option! So there's my holiday haul picks, from the last week I'm planning to do OOTD's while I'm away (with my boyfriend hired as the photographer) so I'm sure you'll see all of these again! 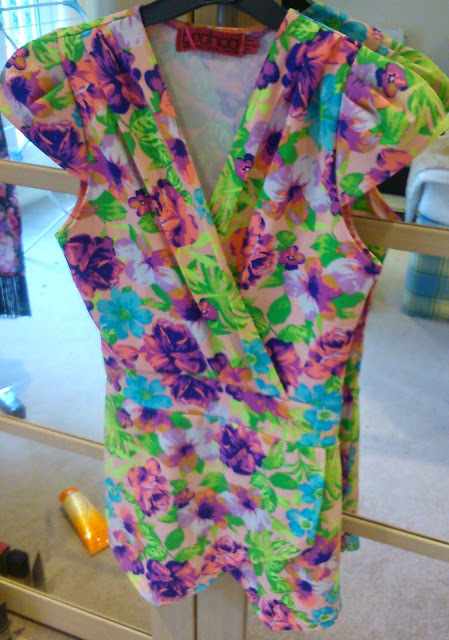 Anyone else bought anything summery/for holiday recently? Loving the clutch - I really need to check out Aldo! I'm on holiday at the moment and syn protection really is a must so it's great to see your post featuring it so highly! Love the blue sandals! So gorgeous! And so jealous about your holiday haha. Enjoy!